Some say that eggs at Easter symbolise new life, and celebrate the resurrection. Unfortunately I don't believe any of that old cobblers for one second, but I still love Easter. 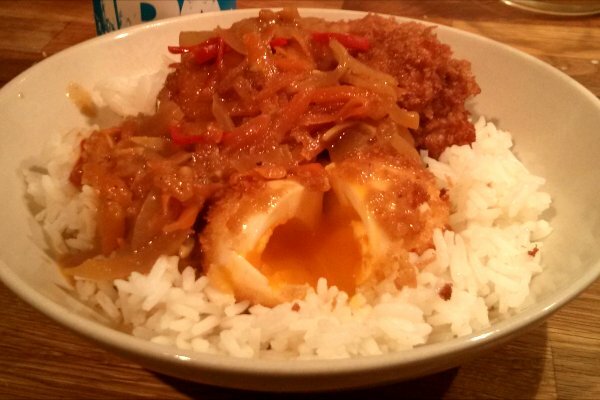 And since we all associate Easter with eggs and chicks and stuff, here's my second Easter dish - the chicken and egg katsu curry. 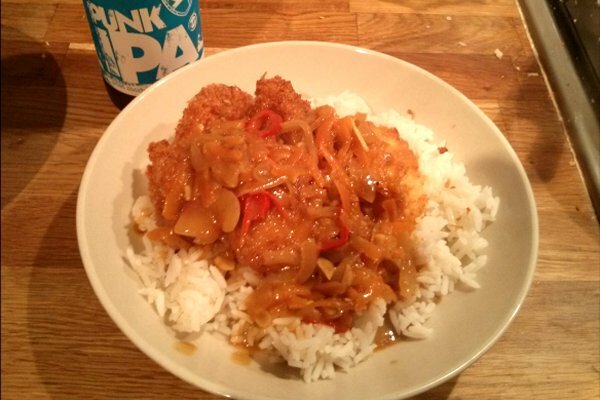 Katsu curry has become pretty well known in the UK thanks to certain ubiquitous Japanese-style chain restaurants, but I'm prepared to stick my neck out and claim that the chicken and egg katsu curry is a brand new invention! 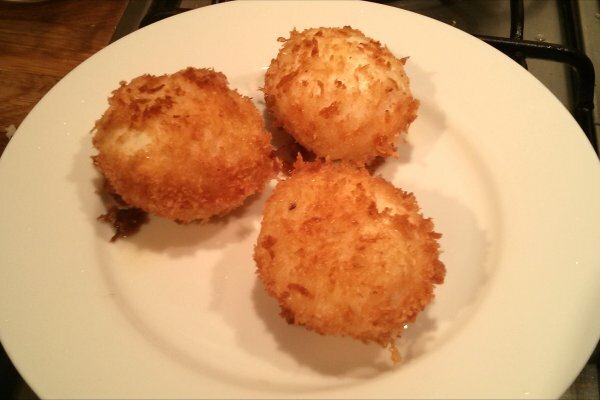 I took a few chicken thigh fillets and three soft boiled eggs, then dipped them in seasoned flour, then beaten egg, and finally panko breadcrumbs. 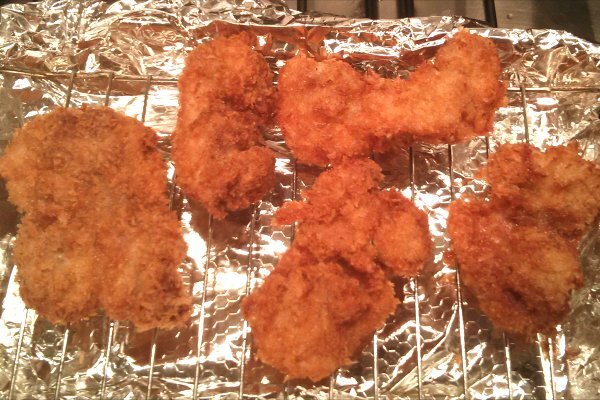 Then it was time to fry them - I cooked the chicken at a moderate temperature until golden brown, but the egg had to be cooked at full blast for just one minute to ensure it stayed runny. 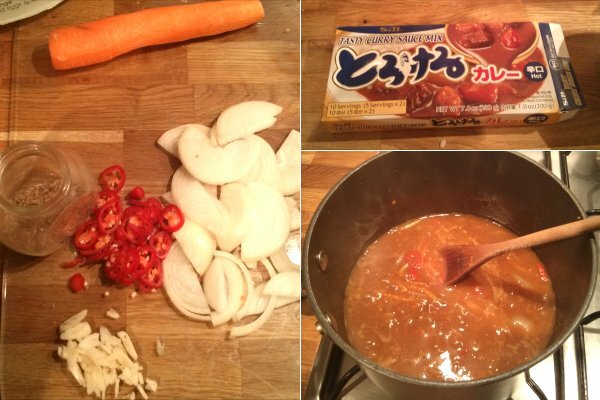 Most people just make Japanese curry sauce from ready-made sauce "blocks" which, to be fair, is probably the most authentic method. But although it says "hot" on the packet, I can assure you it is anything but. So I spiced mine up a bit with some chilli, garlic, and cumin. 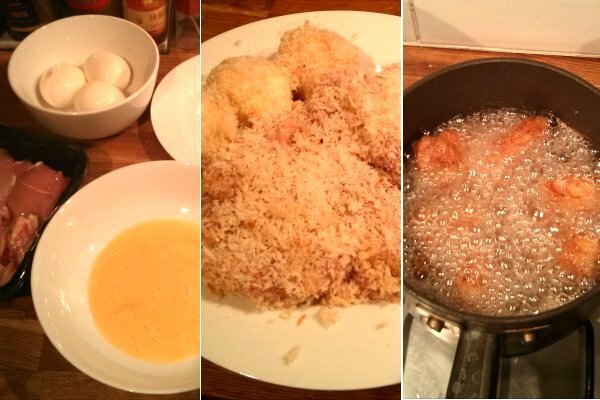 I also added some sliced onions and grated carrot, because vegetables cancel out fried chicken. What better way to remember Jesus and all that stuff? The soft boiled eggs look amazing. I wonder how you made them so perfect. I'm sorry, that's a secret.